A fingerprint is pictured in this stock photo. 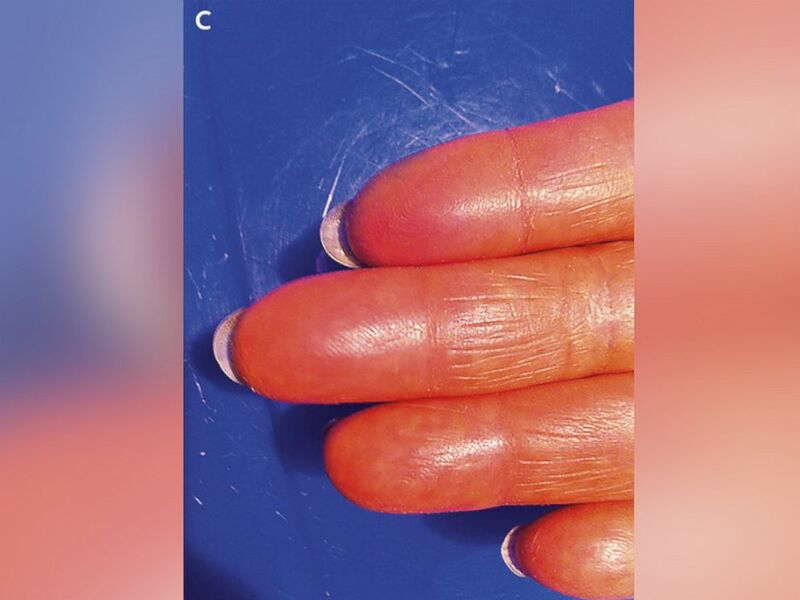 After a rare side effect of chemotherapy left a woman without fingerprints, she was denied a bank transaction, according to a case study published in the New England Journal of Medicine. The woman, who is not identified by name, was 65 and had undergone chemotherapy three times to fight stage IV triple negative breast cancer, according to the study. As a result, she developed hand-foot syndrome, a rare side-effect of certain chemotherapy drugs, like capecitabine, that causes swelling on the hands and feet. "She was distressed because she went to do the procedure with the bank and also because she was planning to travel to Europe and, you know, in the border we need to use our fingerprints," said the woman's oncologist, Dr. Yanin Chavarri-Guerra, who authored the study. "Those things were stressing her." A woman who lost her fingerprints as a side effect of chemotherapy was denied a bank transaction because of it. During the patient's first round of chemotherapy, her hand-foot syndrome was mild, according to the study. During the third round, the hand-foot syndrome symptoms worsened, and she had to limit personal care activities. Chavarri-Guerra, who works at Instituto Nacional de Ciencias Medicas y Nutricion, in Mexico City, Mexico, told ABC News she had never seen anything like it. She thinks patients will notice it more and more as they use their fingerprints with smartphones and as other technological advances require fingerprints. Hand-foot syndrome can range from mild swelling and tingling to painful blisters, sores and cracked skin, according to the Mayo Clinic. Anywhere from 45 to 68.3 percent of people on the chemotherapy drug capecitabine develop hand-foot syndrome, according to an article published in the Cancer Investigation Journal in 2002. It's not clear how many of those people lose their fingerprints. A similar case study was published in 2009 in the journal Annals of Oncology. A 62-year-old man identified only as Mr. S was undergoing chemotherapy to maintain his remission when he arrived in the United States on an international flight. 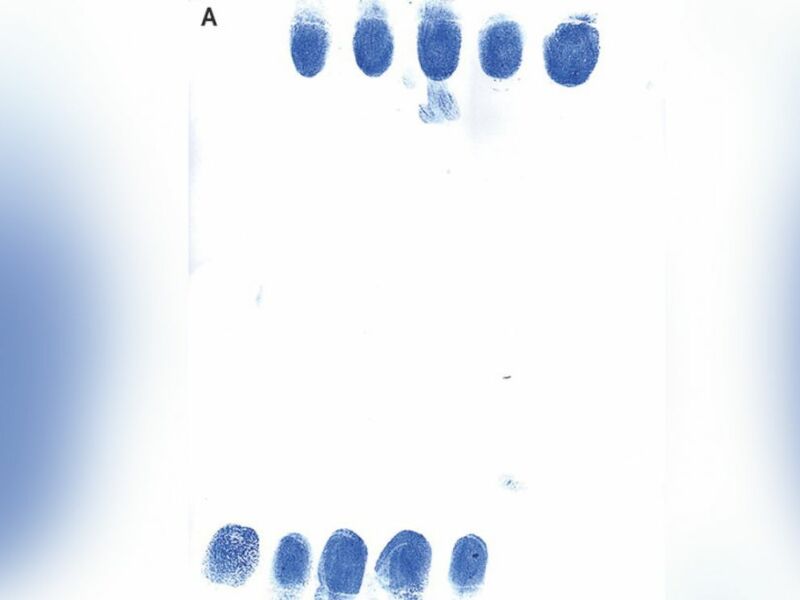 The man was detained for four hours because he didn't have fingerprints and told to bring a note from his oncologist the next time. Chavarri-Guerra said she doesn't know whether her patient's fingerprints returned, but she said the woman is cancer-free, no longer on chemotherapy and pain-free. Dr. Kate Sully, a resident in the ABC News Medical Unit, contributed to this report.